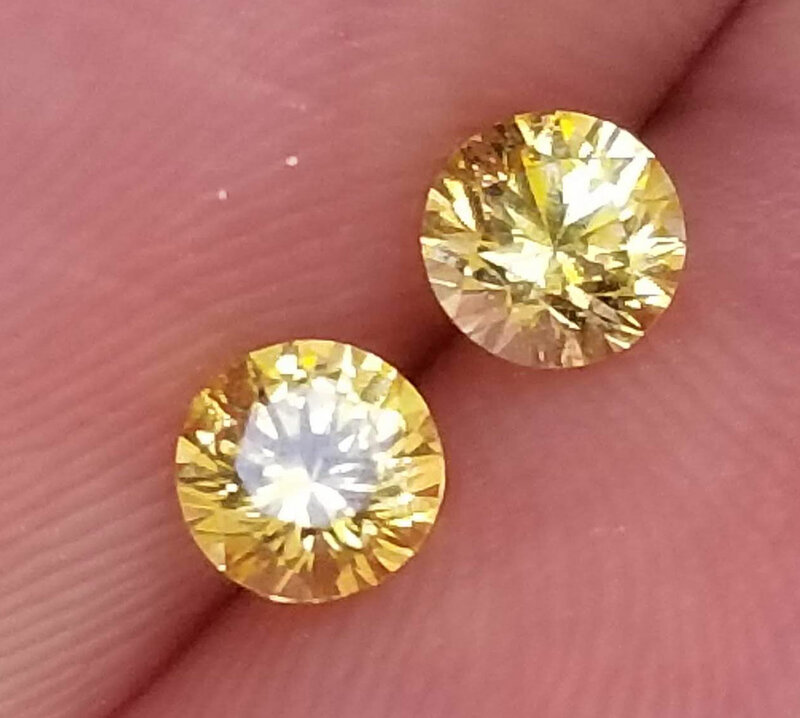 Striking pair of Ceylon Yellow Round Cut Sapphires 4.5mm in diameter. 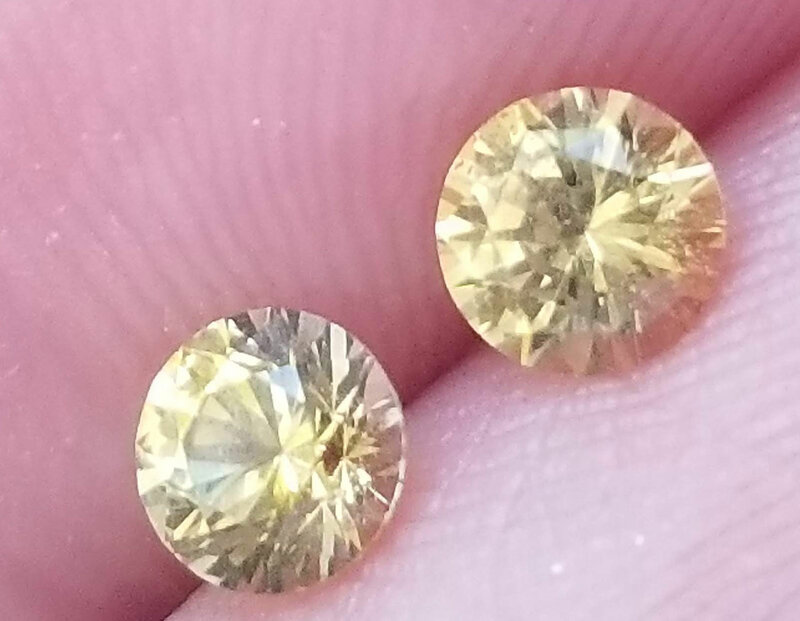 Warm yellow color with a lovely luster and exceptional brilliance. 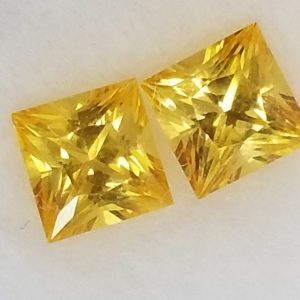 Great deals don’t happen often with Natural Colored stones, but this is certainly one of them since most yellow sapphires on the market today are heavily enhanced to produce an artificial color, these stones, only simple heat. 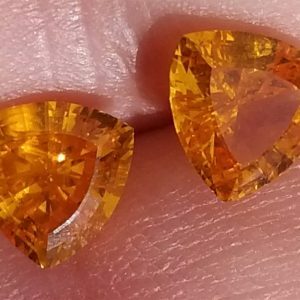 Price listed is for the matched pair. 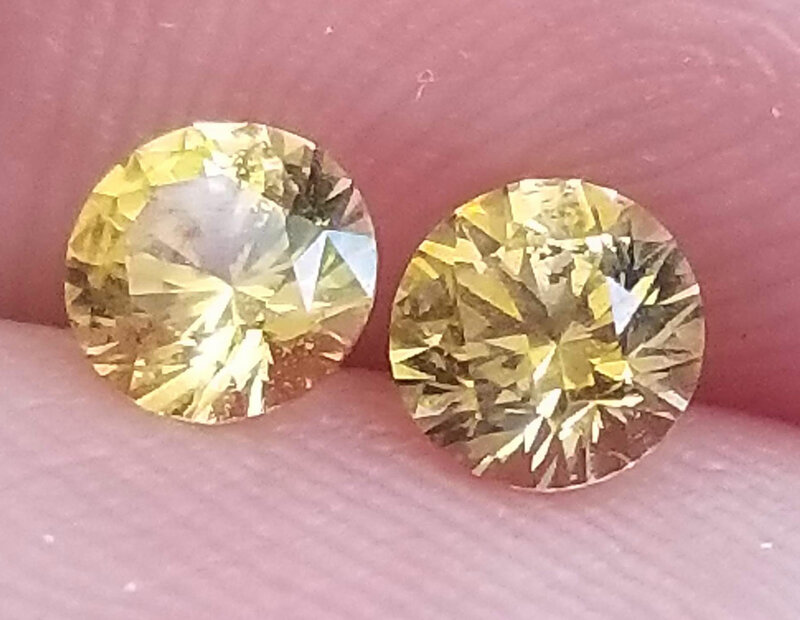 Guaranteed you won’t find a lower price for yellow round cut pair of sapphires in this size (and none of our sapphires use that cheesy Berylium heat to alter the color). Our stones are always natural.